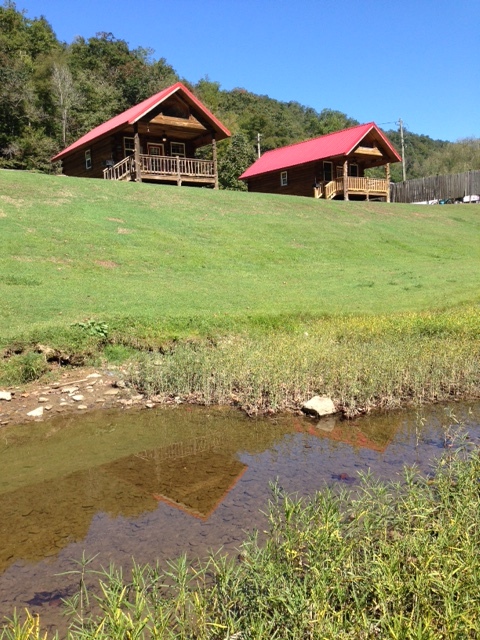 Wildwood Cabins/V-8 Motor Lodge is a family owned and operated business located on the banks of the Guyandotte River (where the fish are jumping) just outside the town limits of Gilbert. We offer genuine log cabins with spacious porches overlooking the river where you just might see an occasional bald eagle land in the giant sycamore trees, an osprey diving into the river for supper, a deer swimming by, a blue heron that likes to fly by and scream at you, or that pesky beaver that stole my maple tree. The cabins can sleep up to 6 people, 4 very comfortably. Amenities include central heating and air, Direct TV, Wi-Fi, and free local and national calls. The cabins are rustic yet they offer a nice bathroom with large showers, a kitchen with all utensils and appliances, free linens and towels, and plenty of easy access parking.